Why is Donald Trump #2 in the polls? This very interesting trend illustrates what our computer has been forecasting for 2016. 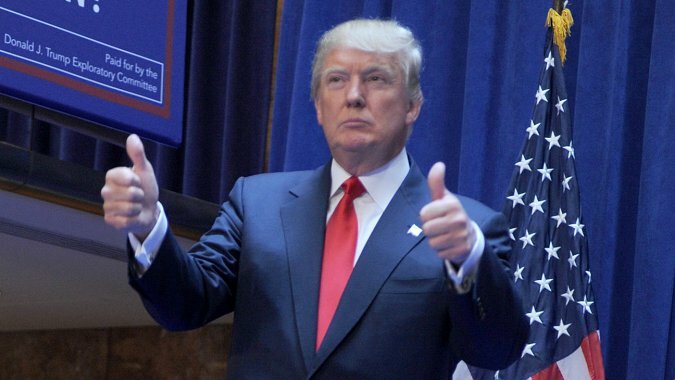 While Trump is inside the Republican Party, he is acting like a Third Party candidate. He is rising in the polls because of his stance on illegal aliens. That is a common problem everywhere in Europe and Britain. As the economy turns down, the population ALWAYS turns against aliens for taking their jobs. So, this will resonate and he can say what he wants for he is not catering to fundraisers. Nonetheless, the element that I found fascinating is the REASON people are supporting him. I do not agree with what he says; I think it is too general in a wide brush. Yet there is the key. Our model has been projecting it will be 2016 that opens the door to a major shift in politics, which will be driven by the major turning point we face with 2015.75. So let’s dig deeper. Why is Trump #2 in the polls? Many view Trump as his own man. He may be losing sponsors and business deals as everyone runs away from him because of his comments, yet therein lies the answer. People at least feel that he is his own man and NOT a politician. This is the underlying reason that our computer has been forecasting for 2016 as the political target. At this stage in the game, the Republican Party would never want him as their candidate, and I am not talking about the people but the party bosses. Trump would not play ball with them on their rules. That much the people are sensing. 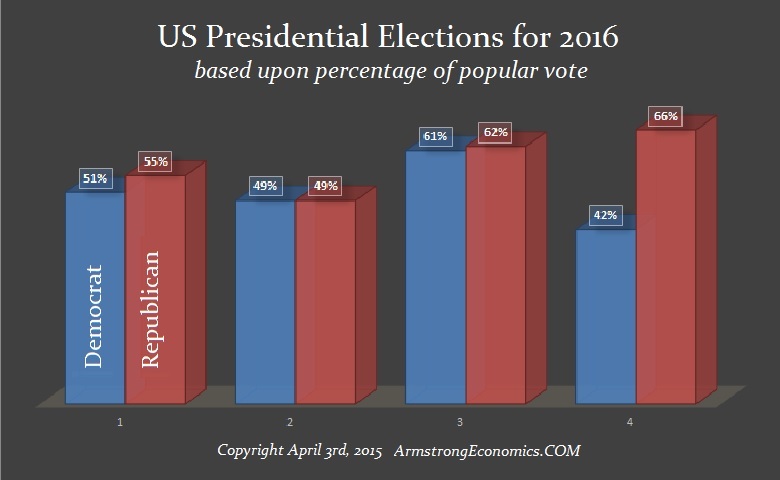 When we look at our computer forecasting models for the 2016 presidential elections, the Republicans should have a percentage of the total popular vote. Whomever becomes the Republican candidate should win the election. 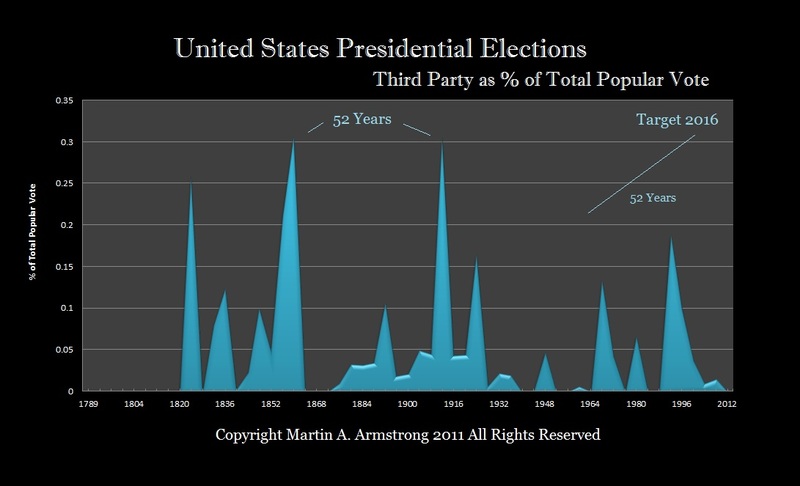 Here comes the wildcard: Third Party activity should rise in another spike high. Historically, this has emerged from splitting the Republican Party. That obviously took place for the Civil War when the Democratic-Republican Party of Jefferson split into today’s Democrats and Republicans. It split again for Teddy Roosevelt and his Progressive Party. We are looking at 2016 being the peak on another 51.6-year cycle (6 x 8.6). However, Trump is actually tapping into that sentiment if we look at this and analyze the trend without prejudice or bias. What Trump is gathering is the anti-establishment vote against groomed politicians. Another confirmation of our correlation models confirming that the other side of 2015.75 is going to be nasty has been political change trends. We should actually see 2016 produce a major rise in voting turnout. 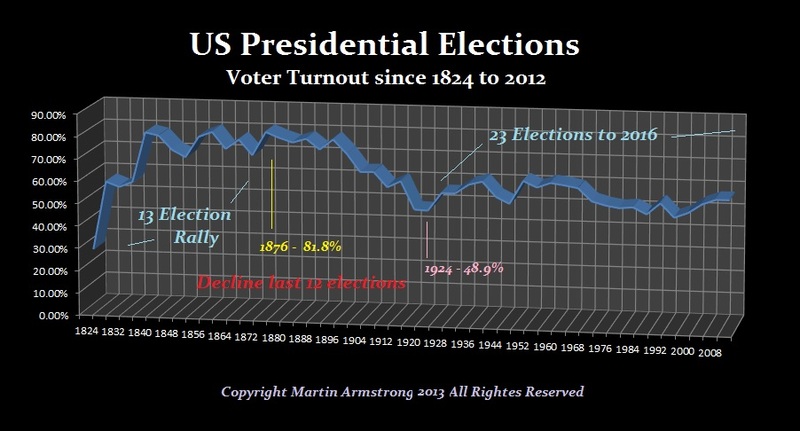 Note that the peak in voter turnout took place in 1876. 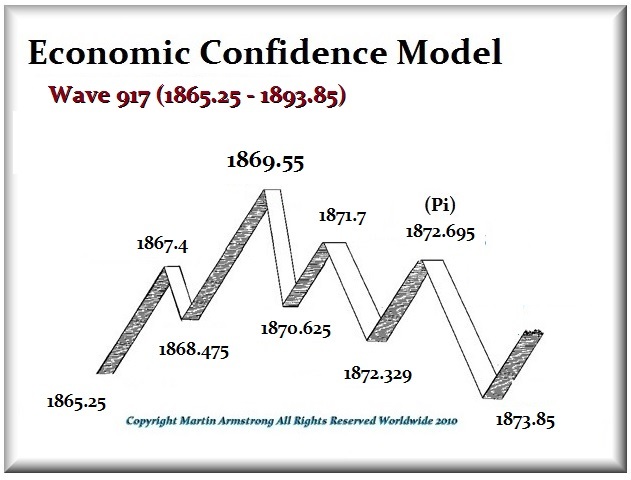 This was about three years from the culmination of Wave 917 on the Economic Confidence Model (1865–1873). 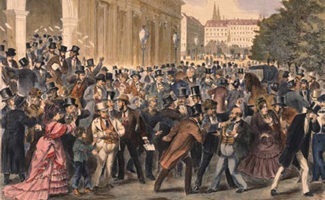 This wave followed the American Civil War and peaked with the cornering of the gold market by Jim Fisk that manifested in the famous Panic of 1869. 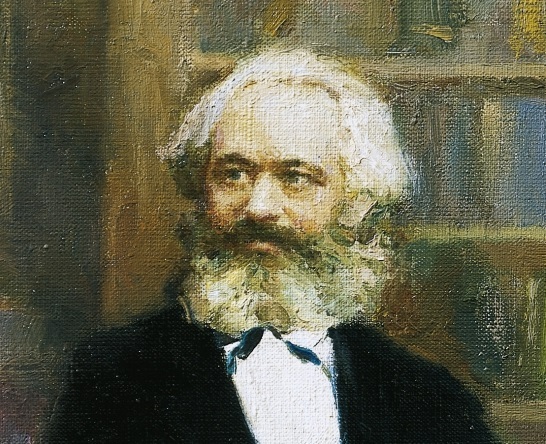 However, on the international level, this is the start of the political change by perhaps the most influential man to ever exist in the field of economics – Karl Marx. Yet the most fascinating aspect is that the first volume of “Das Kapital” was published in 1867 where Marx outlined his conception of surplus value and exploitation, which he argued would ultimately lead to a falling rate of profit and the collapse of industrial capitalism. Demand for a Russian language edition of “Das Kapital” soon led to the printing of 3,000 copies of the book in the Russian language, published on March 27, 1872. By the pi turning point, Marx was invited to speak in Amsterdam, which was really the beginning of the surge to Marxism because the economic decline was underway and people were looking for answers. After his speech in Amsterdam, sales of his work took off. In the autumn of 1871, the entire first edition of “Das Kapital” published in German sold out, followed by a second edition. The entire Marxist movement began with that pi turning point in 1872, fueled further by the Panic of 1873. Germany set this in motion by ending the purchase of silver for coin production, causing a crash in silver prices that led to silver miners in the States lobbying for the U.S. government to support silver ushering in the Silver Democrats. This led to the Long Depression that lasted for 26 years, culminating in the virtual bankruptcy of the United States and the peak in U.S. interest rates hitting nearly 200% in 1899. We all know something is seriously wrong. This economic system is dying for politicians know not what they do. 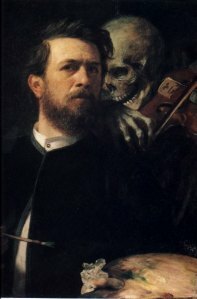 It is warning us over the shoulder if we dare to look behind us. The music is getting louder and louder with each passing day. So regardless of personal feelings, bias, or any prejudice, we must analyze Trump not for who he is, but what he is tapping into within society. We are looking at a major change on the horizon. The 19th century saw the shift toward Marxism as people understood neither the Industrial Revolution nor the Long Depression that was set in motion by the railroads emerging as the internet of the day, displacing local business with mail order from Sears. We too are experiencing a move toward the Robotic Age displacing jobs and changing the entire view of energy as electricity and magnetism displace fossil fuels. Trump just may be the guy who is at the right place at the right time. That does not say he wins. It just says he is stirring up the pot for 2016.